Replicating the movement of a parent, this multi-motion rocker smoothly moves up, down and side to side. 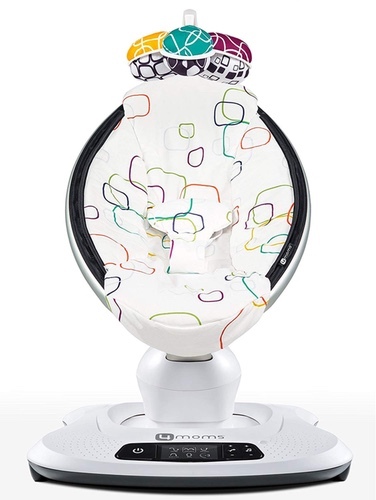 The vast range of speed and motion choices means you’ll be able to find the right setting for your baby’s every mood. This chic, soft-contoured design, made with luxury stitched cotton fabric, is a standout piece for any modern home. Perfectly angled to enable baby to take in the world around her, the ergonomic chair has three different positions for play, rest and sleep. The lightweight and fold-flat features make it ideal for easy storage. 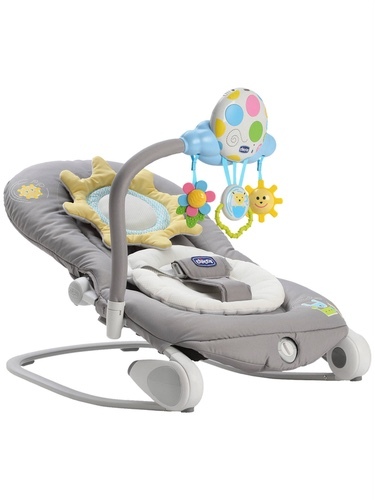 This bouncer is incredibly soft and plush, making it ideal for delicate newborn skin. 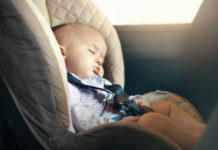 Built-in infant head support alongside a cocoon-shaped seat nestles little ones in for maximum comfort and security. It also features two vibration speeds and a removable toy bar with soft toys for play and stimulation. This smart bouncer is powered by hand with a single gentle push that continues to sway, mimicking the float of a leaf in a breeze for around two minutes. Amazingly, it needs no batteries or cords, and makes no noise as a result. The motion is calm and rhythmic, and is both comforting for naps and stimulating for play. A baby rocker doesn’t need to break the bank. Tis affordable, lightweight chair from Chicco offers comford and a stylish design. The Ballon bouncer has a multi-functional toy bar, full of sounds and melodies, to help stimulate your baby’s cognitive skills. You can even record your own voice to play out while the rocker’s seat gently vibrates to calm and cuddle baby. Designed to truly embrace baby within family life, this is an all-in-one bouncer that can be used on the floor or impressively elevated up to sofa height. 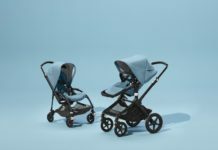 The elevation affords a number of proven benefits around integration and communication, allowing baby to feel included. This is a great all-round bouncer that grows with your child. The seat can be adjusted through multiple positions, and allows baby to use her own bodyweight to bounce herself independently. Complete with detachable toy hanger, it can also be attached to the Stokke Steps high chair to elevate baby off the floor.